We carry a full line of cartridges, printer supplies and accessories for most laser printers, inkjet printers and designjet plotters. 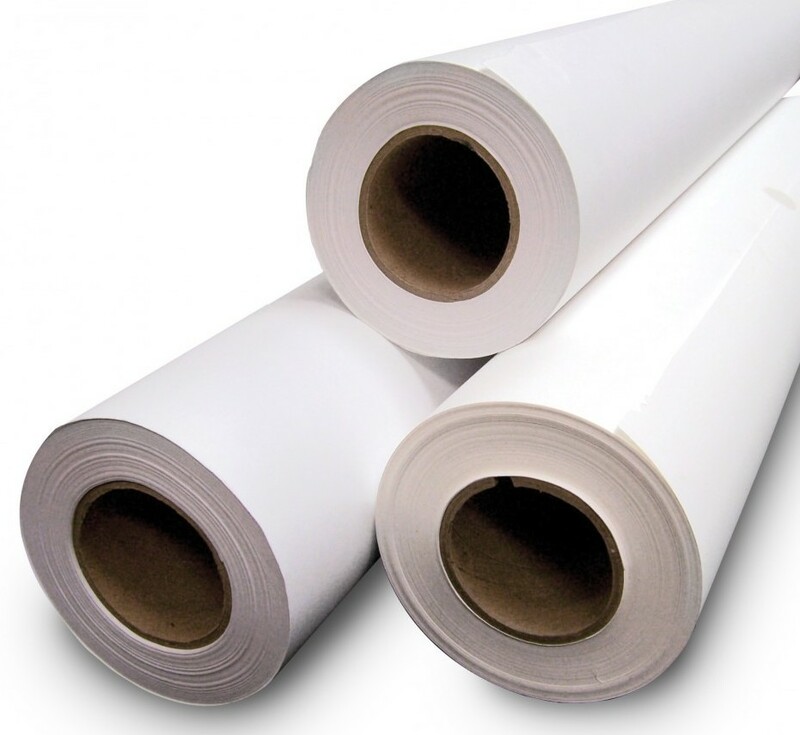 As an HP Preferred Partner, we can also offer SMP (Supplies Metered Program) pricing. All orders are delivered promptly and personally throughout Greater Vancouver and the Fraser Valley by your Terrritory Manager. 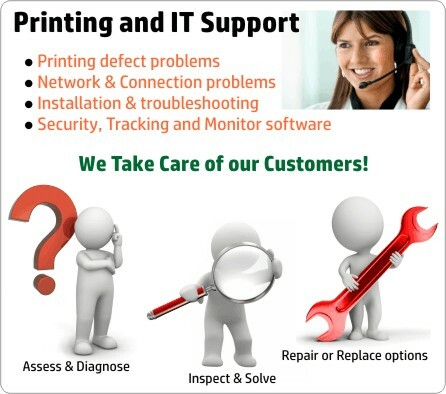 Your Territory Manager is certified to support and diagnose many printer related problems so be sure to ask for their help if your printer is acting up. 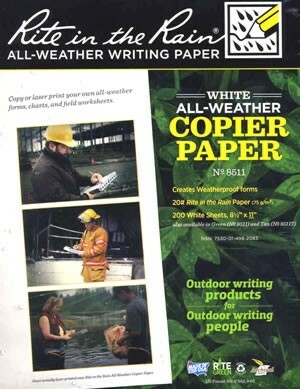 Our customers are given login codes which enables online ordering and a cartridge favorite list. Other customer features include a viewable invoice and printer maintenance history, a budgeting tool and a cost per page analysis tool. Click on the New Customers tab above for more information. Green Seal toner cartridges, manufactured locally, are our premium line of recycled toner cartridges for use in most common mono HP, Lexmark and Canon laser printer models. 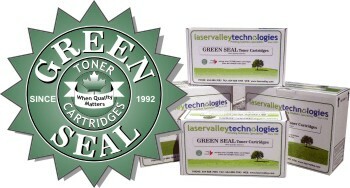 As the name indicates, Green Seal toner cartridges are friends with the environment. 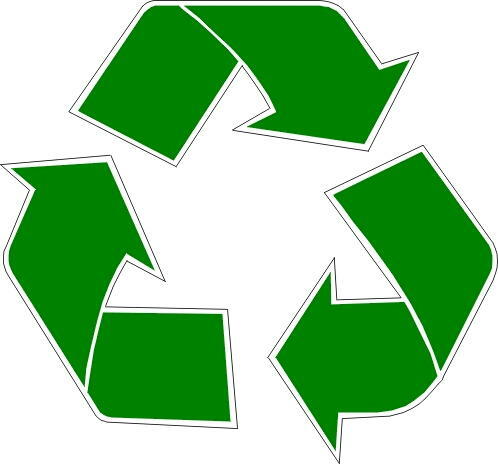 Each year we save over 25,000 toner cartridges from reaching the landfills or approximately 675,000 cartridges since we began in 1992 ... something we're quite proud of! We carry a large inventory OEM toner and ink cartridges for most printer models and brands. 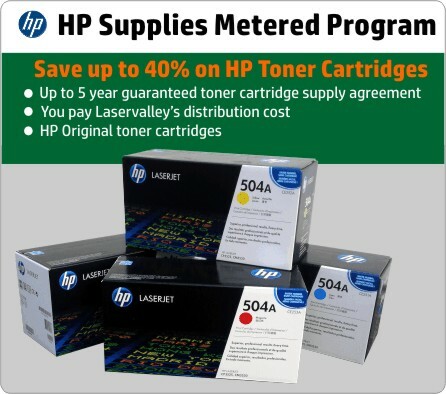 Our SMP (Supplies Metered Program) cartridges will save you up to 32% on HP original (OEM) toners. We also offer many quality out-sourced compatible toner alternatives for brands such as Brother, Canon, Dell, HP, Panasonic, Samsung and Xerox. 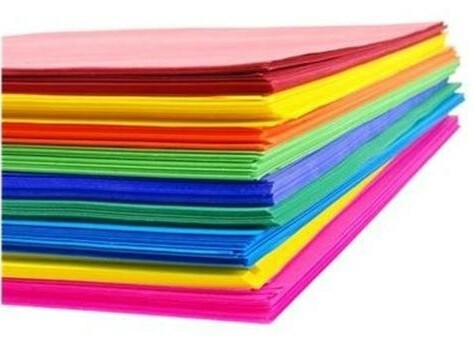 We offer a wide variety of specialty papers for inkjet and laser printing including gloss photo paper, cardstock, transpareny, Rite in the Rain (waterproof paper), Magna-Coat (Magnetic paper), Astro Bright colors, plotter rolls (paper and vinyl 24"-48") and just about any size/type of lable. 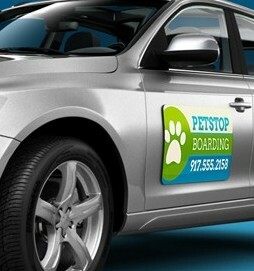 Call us to inquire and if we don't stock it, we will try to find it for you!